Dr. Brian Ratliff has been recognized as a most outstanding Superintendent, community leader, and guest speaker. In 2009, he was awarded the Excellence in Education Leadership Award from the University of Virginia. He has taught internationally and is an accomplished graduate adjunct professor, teaching in the areas of educational research, school-community relations, public school administration, policy, and curriculum and instruction. Highly regarded and respected by elected officials, Dr. Ratliff is known as an extraordinary educator and leader. 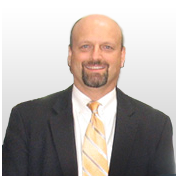 He currently serves as a legislative representative for the Virginia Association of School Superintendents. He has demonstrated exceptional ability to readily assess personnel strengths and weaknesses enabling him to select and lead high quality staff. For the last three years, under his direction and leadership, he has developed a school budget that has saved jobs during the most difficult economic conditions. He vehemently believes that student achievement is the goal in public education and one way we reach it is by being fiscally responsible. Admired and respected by all who meet and know him, Dr. Ratliff, goes above and beyond to promote the mission and vision of Every Child, Every Day. His personal warmth, judgment, and advocacy for students, parents, and teachers are a testament to his reputation as a true community leader. His passion is to empower others to make a positive difference in school communities. He holds high expectations; he is a true collaborator and visionary in his field. Although Dr. Ratliff has been the recipient of numerous honors, awards, and local and national board appointments, he describes his greatest investment as being a husband to his lovely bride, Donna, of 23 years, and a father to three wonderful children (two daughters in college and a son in public high school).